Now we're getting somewhere. 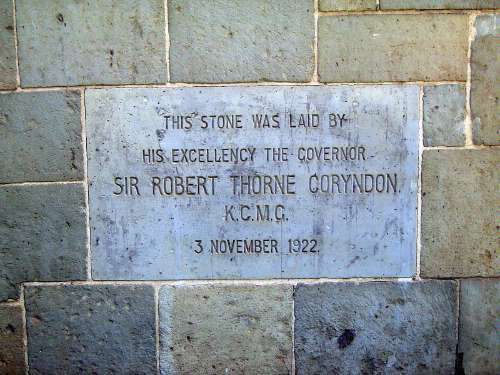 Coryndon was a South African who joined the Bechuanaland border police, the "top hat brigade." Later he joined the British South Africa Company's police and became a professional big-game hunter, as well as private secretary to Cecil Rhodes. He served for five years as governor of Uganda before landing in Nairobi. His DNB entry says that he left "no philosophical rationale of colonialism. He was the type who wanted to 'get on with the job....'"